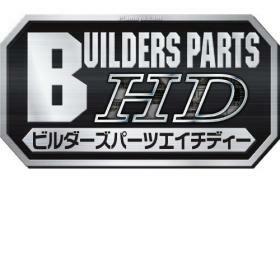 - Highly-compatible, detailed official remodeling parts for Gunpla. - A set of parts to enhance the ability for underwater combat and underwater mobility. - Contains Jet pack x2, Ducted fan A x2, Ducted fan x2. 2.5mm diameter - aviation hole. 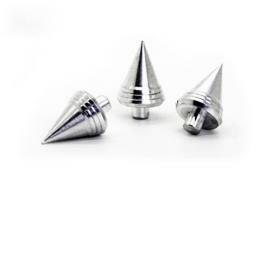 Package include 15 quantity of aviation hole for modelling kits customization. 3 units of zaku metal part shoulder throne type ZC 1.
can fit with MG zaku modelling kits nicely and don't need any cement to be attach on the kit. 3.0mm diameter - aviation hole. - Impressive weapon bazooka to equip di-origin Zaku system MS appeared to system Weapon! 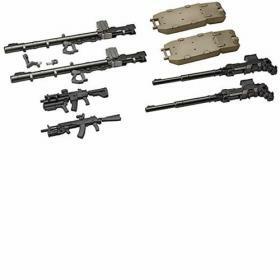 - Reproduce the various variations of bazooka that HG Di origin of Zaku system has. 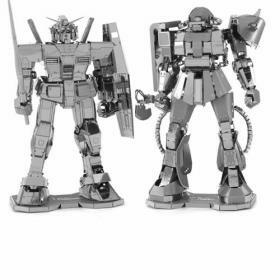 HG Char Zaku, is recommended in conjunction with HG high mobility type Zaku II! - In MS for bazooka type C1 Parts recombinant, B1 type, it can be retrofit to B2 type. - The bazooka D1 type for MS consists of three parts. - Other weapon parts, is also included dedicated rack and hand parts. Figure-Rise Aura Effect is to give Model Kit some life in them. Package includes Yellow Aura and Electricity like effect. Commonly used for Figure-Rise Dragonball Series, Figma size or 1/144 Scale Gunpla. Size of flat heat screw is 2.5mm. 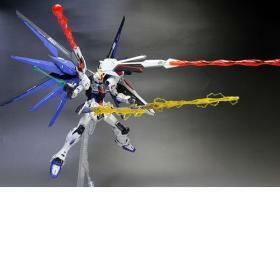 - Beam effect set corresponding to various Gundams appears! 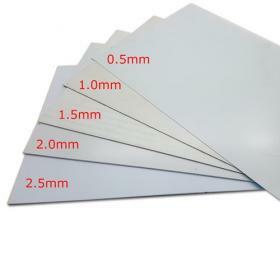 - Four beam effect parts are reproduced with various sizes and shapes. - It is also possible to link two effect parts. Further customize your Gunplay with the backpack of the new Build Strike Galaxy Cosmos: The HGBC Galaxy Booster! Its twelve wings, which are the kit's biggest feature, are individually articulated and can display a wide variety of silhouettes. The booster of the Build Strike Galaxy can be used in combination with various other model kits using the Striker Pack System. Set includes a display base. Accessories: Runner x3. Foil sticker sheet x1. Instruction manual x1. Customize your HGBD kits with the new HGBC Changeling Rifle! 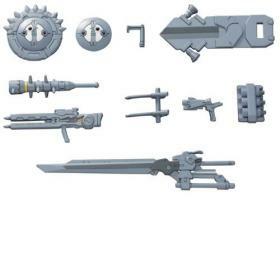 Rifle parts from this set can change into multiple forms! Mix and match with various muzzle parts to create new weapons! Custom parts that look like Ptolemaios, the mother ship featured in "Mobile Suit Gun dam 00" also known as Ptolemy, have arrived. Parts appropriate for a GN container can be changed into claws and can also be held in both hands. The body itself can be taken apart and joint parts can be used to connect two hole joints. The set can power up a variety of Gunpla! From the world of "Gundam Build Fighters" comes the highly customizable Spinning Blaster weapon! Rotate the gear to change the weapon's form, and use the included parts to make it even larger and more powerful! A speedy transforming bike that can be mounted by any HG Gunpla to ride around in, and it able to transform between motorcycle from and mecha form. The machine rider also comes with 3 types of cowl part for you to select! Large and small size wing parts that can be used to attach and customize all sorts of Gunpla! Various attachment joints are included, and since the wings come in white they can be adapted to fit a wide range of color schemes and designs. 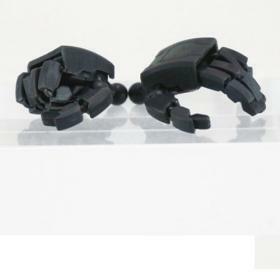 A new set of hands based on the Jigen Build Knuckles, these hands with square styled fingers are featured in a newly designed package and are perfect for martial art type Gundams like Jiyan Altron. Includes Left and Right versions of fists, open palms, and holding hands in different 1/144 sizes.